We had a high tea at the “Kop van Jut”-restaurant. It literally means “the head of Jut”. De Kop van Jut is located at the popular and touristic Leidseplein. To be honest, I usually don’t go to the restaurants in touristic places, because the quality is usually bad. But the Dutch restaurants in the Leidseplein are actually quite good. De Kop van Jut is one of these typical Dutch restaurants. It is small, the interior is brown and sober. What makes it not typical Dutch is the service, because they have nice and helpful personnel. 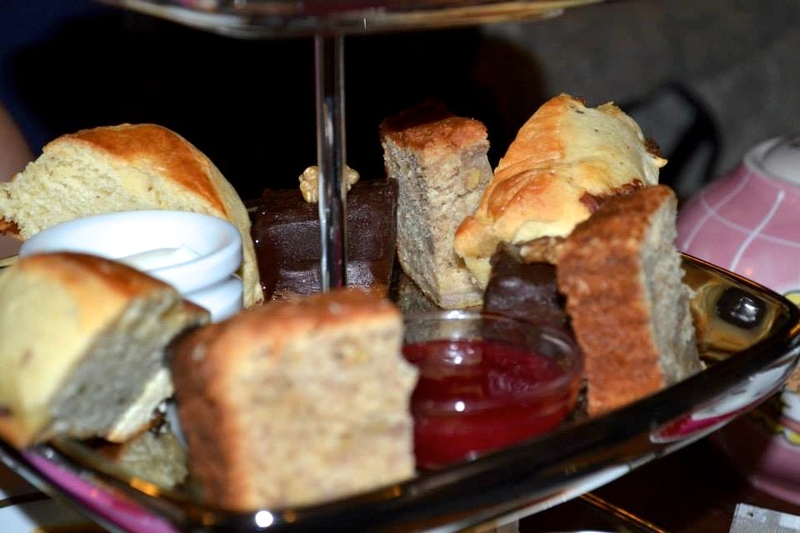 The high tea normally costs 17, 50 euro’s, so it is quite a good price. The time is from 2:30 pm to 5 pm. 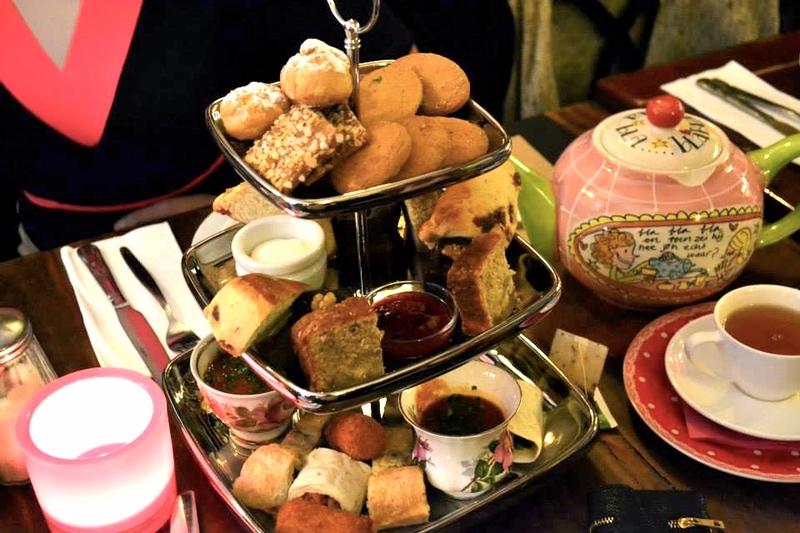 For this price you get a lot of tea in cute tea pots and tea cups and a wide variety of tea, goat cheese croquette from grandma Bob, roasted tomato and paprika soup, quiche, scones with fruitjam and clotted cream, banana bread, cream puffs, chocolate nut cake and buttercream cookies. You get enough bites for the price. All the food was vegetarian, so there was no hassel with people who didn’t eat meat or a specific kind of meat. I liked the tomato paprika soup, but because it was served together with the rest of the food it was already cold when i drank it. The goat cheese croquette is original as i don’t see that often in high tea’s. The quiche was very tasteful. The scones and banana bread were fine. The location of the restaurant is great and is has a typical Dutch vibe without the typical Dutch service. Even though, our reservation was only until 5 pm, they didn’t throw us out. The Dutch menu looked nice though we haven’t tried it. 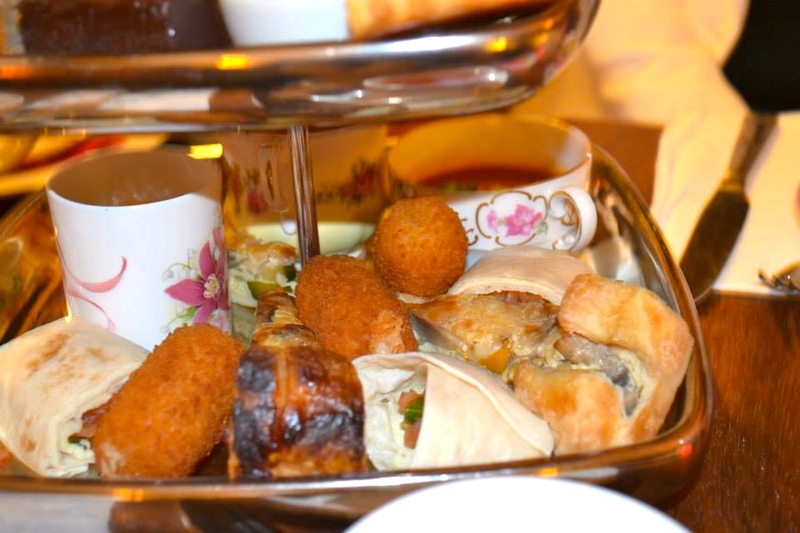 The high tea is affordable and good for the price. Downfall is that it some of the food were not home made. 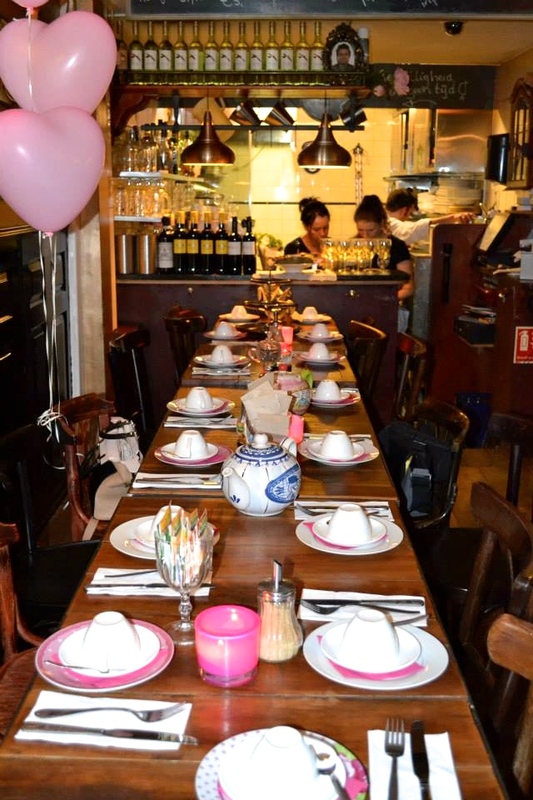 This restaurant is good for a nice diner with Dutch food or a quick high tea with friends.